Georgia Tech alumna Savannah Lee, ChBE 2018, wanted to win a Fulbright scholarship so much that she sprinted 2,000 feet up a remote mountain in Montana in order to find a cell signal. She’d needed to reach those writing her recommendations. A Stamps President’s Scholar at Tech, Lee was leading a two-week, team-building expedition of incoming scholarship recipients through the Montana wilderness last August that coincided with the application process. By late March, she learned that she’d won a Fulbright scholarship to cover her tuition and living expenses as she earns her MBA in international human resources at National Taiwan Normal University in Taipei from fall 2019-spring 2020. “I screamed when I saw the e-mail,” she says. 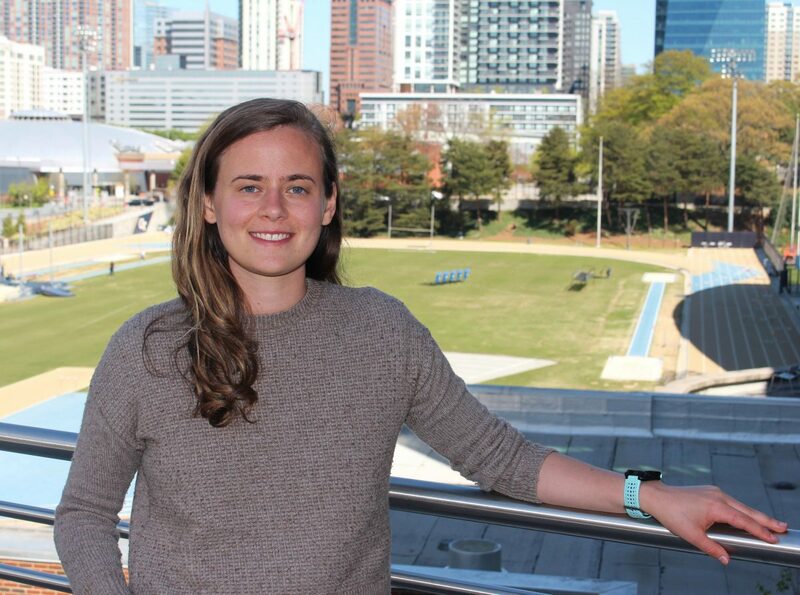 Since graduating from the School of Chemical & Biomolecular Engineering (ChBE) in December 2018, Lee has worked as an academic and mentorship coordinator in Georgia Tech’s Excel Program, a four-year certificate program for students with I/DD. Lee first began volunteering with the program during its inception in 2015, eventually serving in such roles as mentor, life coach, teacher’s assistant, friend, and president of the student advisory board. Having had an uncle with Down’s syndrome, Lee was already aware of the limited opportunities and advocacy for people with disabilities before starting college. That family history contributed to her desire to get involved in helping build the Excel program, which addresses the scope of needs of the I/DD population from fundamental academics and social activities to vocational preparation and independent living. “Finding innovative ways to serve this community was the most important thing I did during my undergraduate career,” says Lee, who currently teaches life skills related to independent living, among other duties. She says she’s grateful that’s she’s been able to work in a temporary position with Excel for another semester before fulfilling her dream of completing a hike of the 2,200-mile Appalachian Trail this summer. Having finished the first half in 2015, she will trek from Harbors Ferry, West Virginia, to Mount Katahdin in Maine before traveling to Taipei for her studies in the fall. In her Fulbright application, Lee noted that she began thinking about disability representation in Asia during her ChBE study abroad experience at the Korea Advanced Institute of Science and Technology (KAIST) in Seoul, where she attended a wheelchair rally. “It was there, watching thousands of wheelchairs cobble over downtown Seoul, that I finally pieced together ways that I could serve as a leader in this field by applying my unique skill set,” wrote Lee, who later attended a subway sit-in protesting Korean government efforts to limit disability services. While she has traveled to Hong Kong and other parts of Asia, her MBA studies will be her first time in Taiwan. As someone who likes to stay busy and prides herself on her time management skills, Lee plans to get involved with non-governmental organizations serving those with disabilities during her time there. To improve her Chinese language skills, Lee regularly conversed in the tongue with Chinese members of Professor Elsa Reichmanis’ lab, where she worked for seven semesters as an undergraduate researcher and earned co-authorship credit on two published studies. Lee isn’t exactly sure where her MBA will lead but wants to continue exploring ways for people with disabilities to find meaningful employment (for example, moving beyond traditional storefront roles as greeters and baggers into greater representation in construction and manufacturing settings). She says she might consider opportunities at biotech startup companies focused on enhancing disability accessibility as well as eventually earning a PhD.